Concours ASTI Division II University of Buea Entrance 2019 First year. 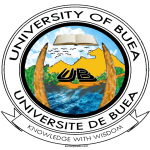 An oral competitive entrance examination for the selection of twenty (20) students for admission into the first year of the Master of Arts in Interpretation (Division II) of the Advanced School of Translators and Interpreters (ASTI Buea Division II University of Buea), University of Buea, for the 2019/2020 academic year, shall take place on 26 and 27 September 2019 in the sole Centre of Buea. Complete application files shall be submitted to the Advanced School of Translators and Interpreters (ASTI Buea), University of Buea, P.O. Box 63 Buea, or to the Ministry of Higher Education (Room 917) Yaounde, not later than Friday, 15 September 2019 at 3.00 p.m. 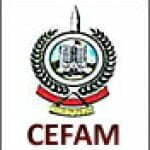 Candidates are requested to report to the examination hall at least one hour before the beginning of examinations. A valid national identity card or passport will be required for admission into the examination hall. ASTI University of Buea Entrance 2019-2020 Division II. Concours ASTI Buea 2019-2020 Division II Université de Buea 1ère année du Master.